Entering Kłodzko down the road no 33 from Boboszów you need to stick to the main road and head for the center. After driving under railroad embankment you have to turn into the third road to the right. Drive uphill down that road to the end and turn right again downhill till you approach the parking lot at the entrance to the stronghold. 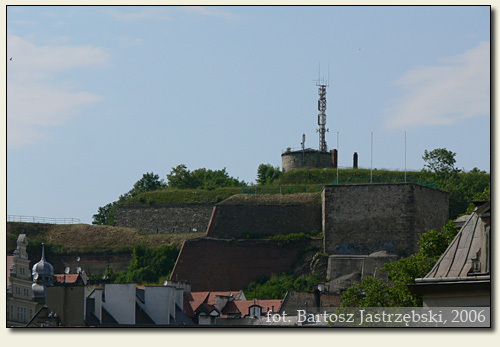 Existent stronghold in Kłodzko was raised in the place of medieval castle. Unfortunately construction works covered up the details of an original foundation, that is why it is hard to define an exact history of the beginnings of the castle. As we learn from the sources written till the middle of the XIIIth cent. there existed a borough in Kłodzko. It is worth adding that the place belonged to the Bohemia the then. In the document from 1273 there is mentioned a local castellan for the last time while the sources from 1283 refer already to burgrave, which can suggest the beginning of construction of the brick castle. Unfortunately it is not exactly known when the brick castle arose. It is possible that it was erected by Henryk IV Probus, Wacław II, Jan Luksemburski, Bolko II or Henryk VI of Wrocław. It is known that the castle was frequently converted and it quickly became such a strong fortress that it was hard to seize it. Neither Hussites nor armies of Maciej Korwin in 1470 did not succeed. In 1459 Kłodzko together with surrounding lands transformed itself in an independent county belonging to the family of Podiebrad. Later it came into the hands of the family of Jagiellon for a while so as to subsequently became a property of the family of Habsburg. In 1622 the part of the castle was blown up and in 1627 the tower collapsed. 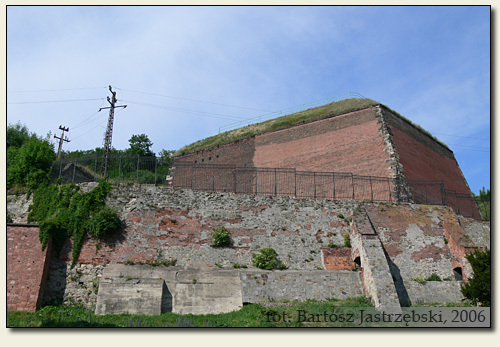 In 1742 the stronghold was captured by the armies of Fryderyk II who later ordered to extend the defensive foundation. In the XIXth cent. the stronghold was one of the most important fortresses in Silesia and in the time of the World War II is was also used for military purposes.